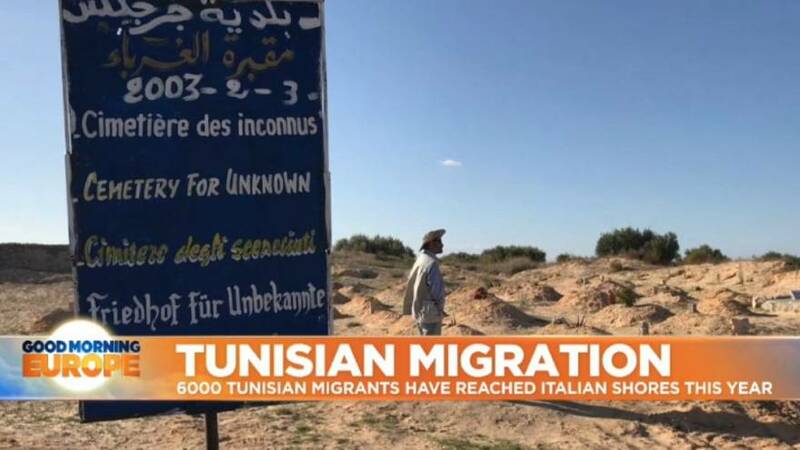 For years, Chamseddine Marzouk has been burying bodies of those drowned in the Mediterranean Sea whilst attempting to reach Europe. “We have buried some 400 people here – including children, women and men” he says. Marzouk’s own children had the same dream – two of them recently boarded flimsy boats for Europe. “My children left without telling me” he told Euronews – “And I blame Europe because I had been asking for a visa for both of them, one for Germany and the other for France. They were refused and so my kids just left” he added. Chamseddine Mazourk’s children were simply joining some of the thousands of Tunisians who attempted to cross the Mediterranean Sea to seek a better life in the EU. Locals in Zarzis said that over 600 people had departed from the coastal city in rafts this summer. It is apparent too, as shells of abandoned migrant boats litter beaches.